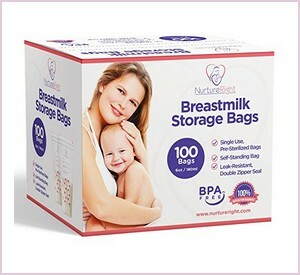 This article will round up the top ten best breast milk storage bags. We’ll explain why we chose each item, key points that are important to consider, and where to find them. Finally, we’ll add a list of pros and cons for each storage bag, so you get a good feel for why they would be a good option for you to choose. 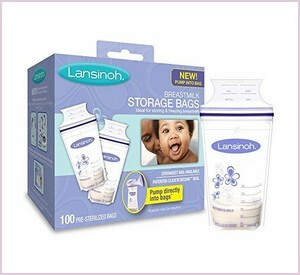 The top bag on our list of the best breast milk storage bags is by Lansinoh. They allow you to pump directly into the bags for your convenience. They have a click n’ secure sealing option, and they are wider than most bags. Each bag lays flat for easy storage, and they have reinforced side seams for added durability. Finally, they are BPA and BPS free. Each bag as a reinforced seam for added durability. The bag is clear, so it’s easy to measure. The perforated top tears away easily, in one piece. The bag may not stand upright correctly. There could be an issue with leaking along the bottom. The secure zip option may stick. Recommended For: These bags are ideal for any mother who wants a bag you can pump directly into. They are great for busy moms who are on the go. 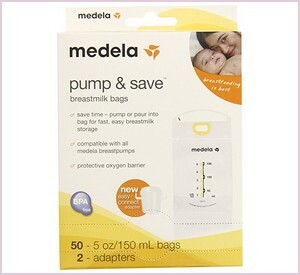 Medela bags have made the list for the best breast milk bags. These bags come with two adapters and they will hook directly up to a Medela pump. There is an easy zipper top, and there is an oxygen barrier built it to prevent freezer burn. The bottom is designed to stand up so you won’t have to worry about spilling. The bags have a rigid bottom that makes standing easy. There is an easy close zipper top. The bags are BPA free. There have been issues with the bags leaking. The seams of the bag tend to split. They are only compatible with Medela pumps. 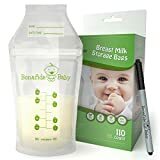 Recommended for: This breast milk bag is perfect for anyone who uses a Medela pump and wants a bag that will stand up when you pour into it. One of the best breast milk storage bags are made by Philips. This bag comes with a double zipper for added security. 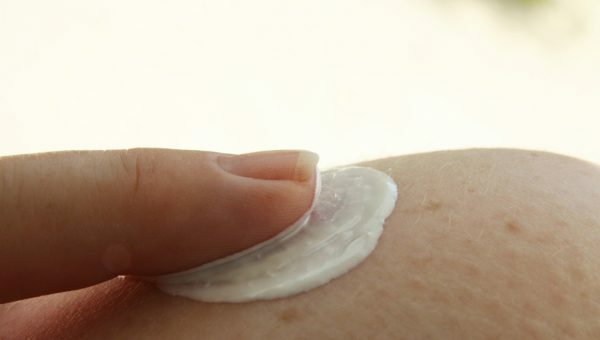 It comes pre-sterilized with a tamper-proof seal. The bag has dual layers with reinforced seams for added durability. 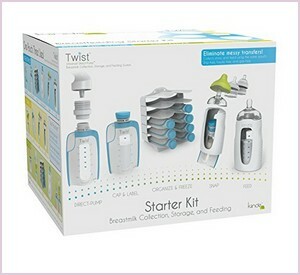 It is self-standing and there is an extra wide mouth that makes pouring easy and hassle-free. This bag is larger, which allows you to store more milk per bag. This bag has dual layers for extra durability. The mouth of the bag is extra wide for ease of use. Each bag has a tamper-proof seal. It can be difficult to properly open these bags. This bag may not lay as flat as some of the others. The measurements on the bag may not be accurate. Recommended for: This product is recommended for anyone who has extra space in their freezer to store their milk, any who wants a dual layer bag. The third best breast milk storage bag is made by Nurture Right. The bags stand up for easy measurement, and they are made of thick, durable plastic. Each bag comes pre-sterilized, latex and BPA free, and they have a double seal zip. There is a record panel on each bag that makes it easy to date and note the ounces. You can pump directly into these bags, and this reduces the hassle of transferring from bottles. The bags have a tall, rigid design for easy pouring. Every bag is sealed for sterilization and safety. They have a thick, durable material. It can be difficult to tear the top open. The zipper portion can be difficult to open. There have been reports of the bag breaking. 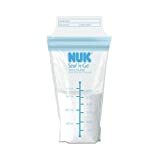 Recommended for: This breast milk bag is perfect for anyone who wants a more rigid bag that will stand up while you pour into it, but it can lay flat for storage. The NUK bags are the second best item on our list of the best breast milk storage bags. These bags are 100 percent guaranteed to be leak proof. The zipper is a double design for extra security. The pour spout is gravity fed, and this makes pouring easier. The bottom of the bag is gusset-free for additional durability. Finally, the top comes with a tamper-evident seal. Each bag has a gravity fed pour spout. The tamper evident seal is perfect for safety. The bottom is gusset-free to prevent leaks. They may have a strong plastic smell. The volume markers aren’t totally accurate. You may get air bubbles in the top of the bags. Recommended For: These bags are recommended for anyone who wants a bag with a gravity fed pour spout with easy marking capabilities. 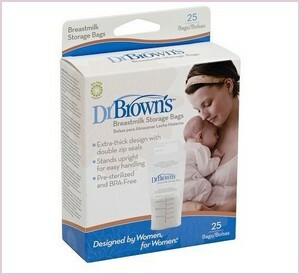 The fourth bag on our list of the best breast milk storage bags is by Dr. Browns. They come with an extra think design with a double zip seal for added protection. This self-standing bag is easy to pour, and it has large measurement writing space. Each bag comes pre-sterilized, so you know they’re clean and safe. Finally, they lay flat for easy freezing and storage. These bags are more compact than normal bags. The double zip seal makes it more durable. The bags lie flat in the freezer to save space. There have been issues with leaking. It can be difficult to pour milk into the bag. They may be difficult to open. Recommended For: These bags are recommended for any who has smaller amounts of breast milk that they want to freeze and store. The first item on our list of the best breast milk storage bags is Twist Pouches. These pouches feature a secure locking system that attaches to any breast pump for easy transferability. You can stand them up or lay them flat for easy storage, and you are also able to freeze and thaw them quickly and easily. The pouches attach directly to the breast pump. They are versatile, and you can lay them flat or stand them up. They come with a wide, easy labeling section. It can be difficult to see exactly how much milk is in them. They are meant for single use only. The measurements on the bags may be off by as much as an ounce. 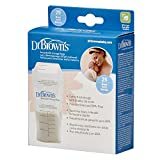 Recommended for: These pouches are recommended for any mom that wants to skip transferring breast milk from the pump to a bottle, to a storage bag. In case you do not own a pump, here are the reviews for the best breast pumps of the year. 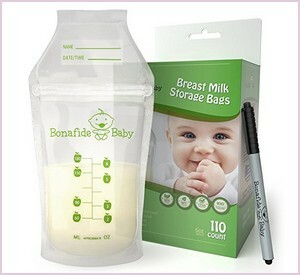 The third best breast milk storage bags come from Bonafide Baby. It comes with a double zip seal and it is designed to be freezer burn resistant. The bags come pre-sterilized, and they are latex, BPA, and BPS-free. There is a non-toxic marking pen included, and each bag is notched for an easy pour feature. Each bag has a notched, easy pour spout. Every bag has a safety seal for your peace of mind. 110 count per box, with a non-toxic marking pen. You have to pump into a bottle, then transfer into the bag. The smaller opening makes it harder to pour milk into without spilling. The perforated top can be harder to tear open. 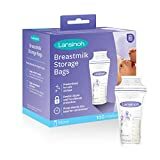 Recommended for: This breast milk bag is recommended for anyone who needs a larger, thicker made bag that can stand up or lay down with ease. The second item on our list of the best breast milk storage bags is by Kiinde. 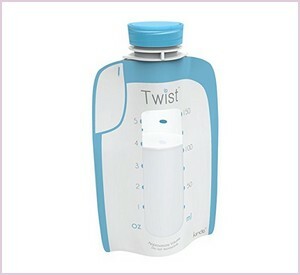 These twist pouches make it easy to pour and store your breast milk. These bags are designed to work with the Kiinde system. These bags have a durable, thick design that is designed to be leak proof. 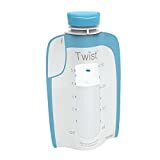 The twist tops prevent spills, and the measurements make it easy to see how much milk is in them. Each bag has a secure twist top. The durable material makes it easy to avoid leaks. The bags stand up on their own for easy pouring. The measurements can be misleading. It may be difficult to get the bag fully open. The bags tend to hold a lot of air. Recommended For: These bags are recommended for anyone who has the Kiinde pump system who wants the convenience of pumping directly into the bag. These are the absolute best breast milk storage bags available on the market in 2018. They come pre-sterilized, BPA free, latex free, and phthalate free. These bags come with a front facing writable tab, and they are self-standing. They have a perforated tear line for easy opening and easy-to-read, accurate measuring lines. The bag freezes flat for easy storage and has a double zip design for less leaking. The bags are made with FDA approved materials. They have a double zipper for extra durability. Each bag has an easy pour top. The measurements may not be completely accurate. the perforated top may be hard to open. The bags are very stiff, and may not lay flat. Recommended For: These bags are designed for anyone who wants a more rigid bag that lays flat to freeze. 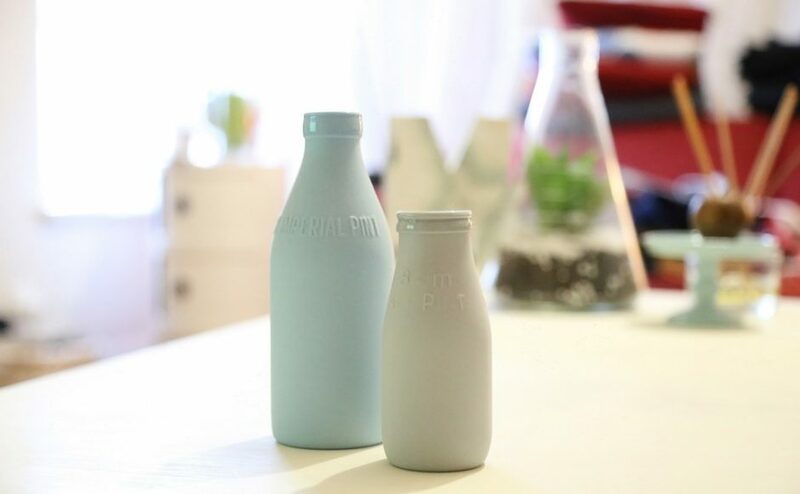 They hold quite a few ounces, so they’re good for someone who wants to store a lot of milk. We have gone over the top ten breast milk storage bags, along with everything that makes each product unique. We have listed pros and cons for each bag as well. Finally, we added the product links and recommendations for who each bag would be good for. Did your favorite bag make the list? Sound off in the comments with your favorite.